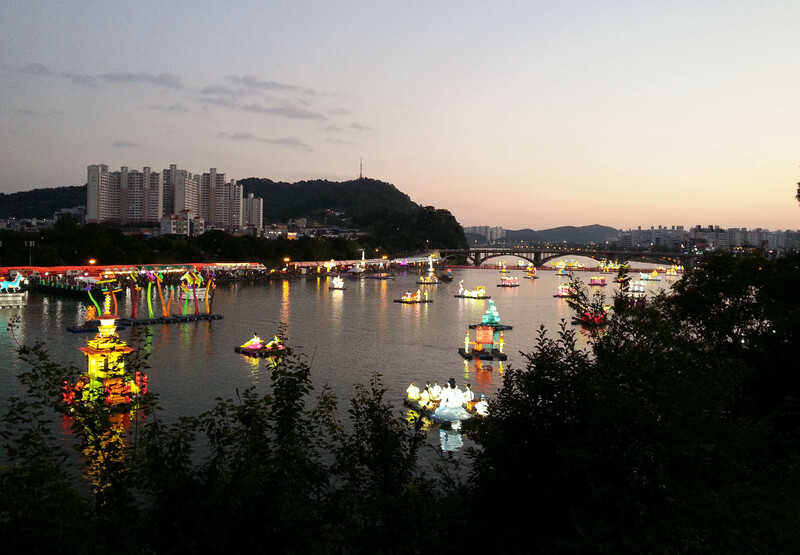 Lanterns on the Namgang River at the Jinju Lantern Festival. 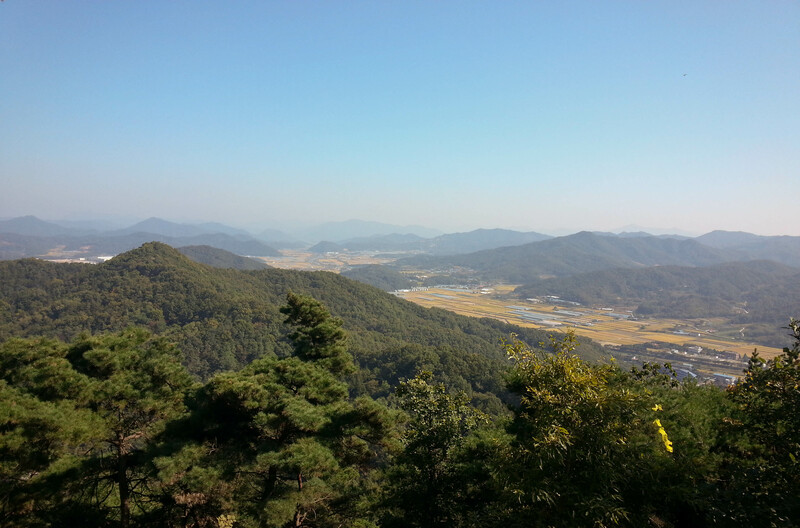 View from Sujeong Mountain in Eumseong. 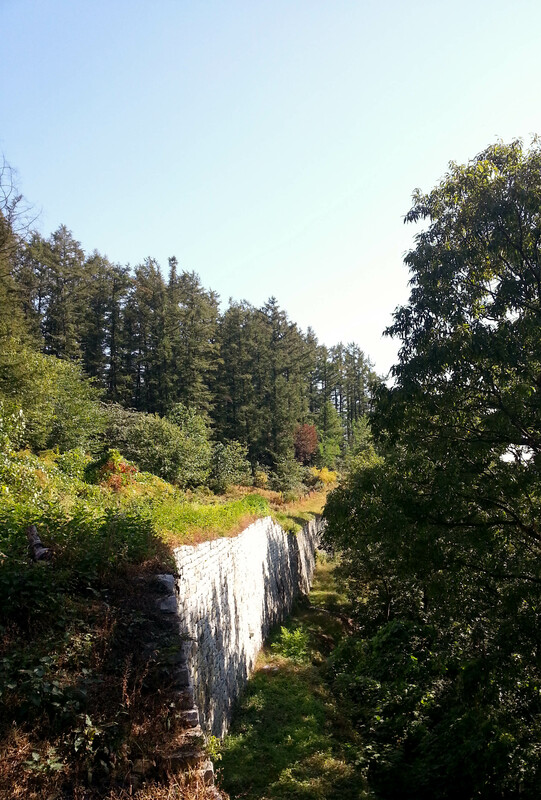 This is a fortress wall in Eumseong that was originally built as an earthen fortification during the Three Kingdoms Period (4th-7th century). 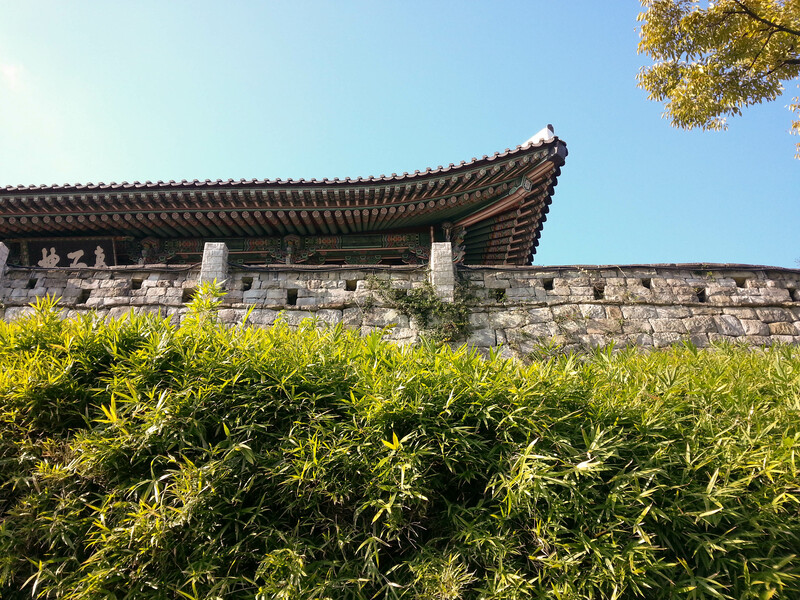 It was rebuilt with stone during the early Joseon Period in the 1500s. Flashback to summer camp when my students tried peanut butter and jelly sandwiches for the first time. They weren’t quite sure what to think. 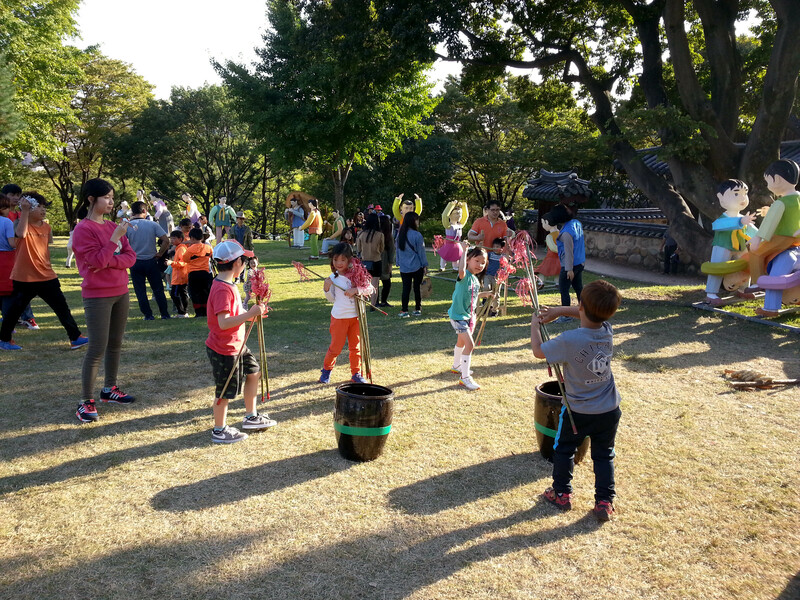 These children are playing a traditional Korean game called tuho, where arrows or sticks are thrown into a canister. 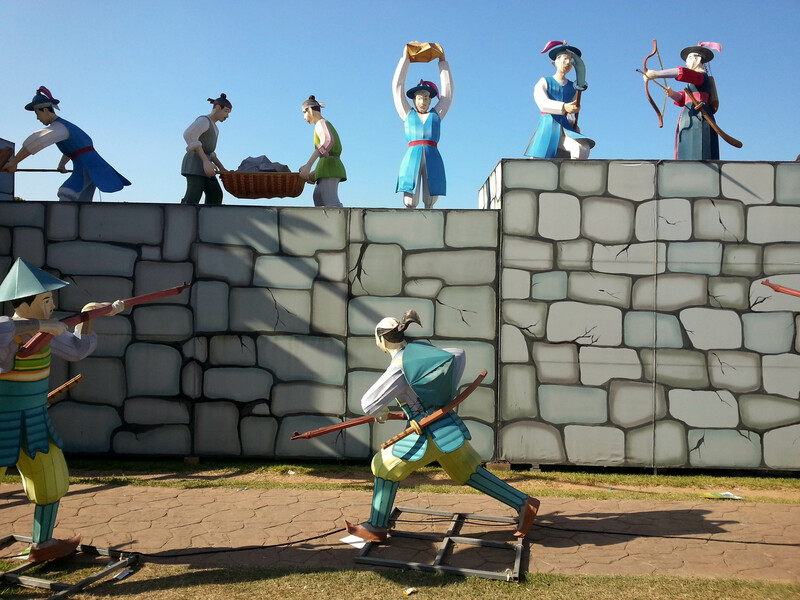 It is said to have originated in China and was played among royal and higher class families. 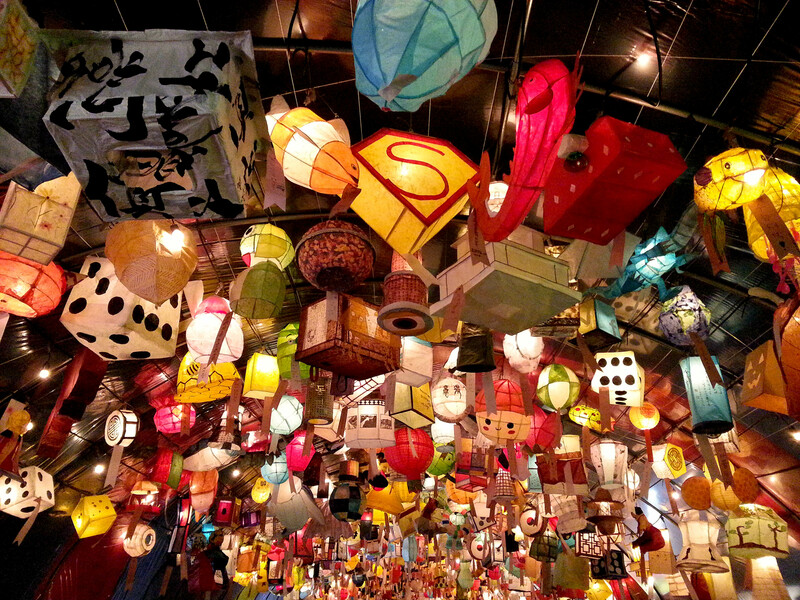 Lanterns in the daylight at the Jinju Lantern Festival. 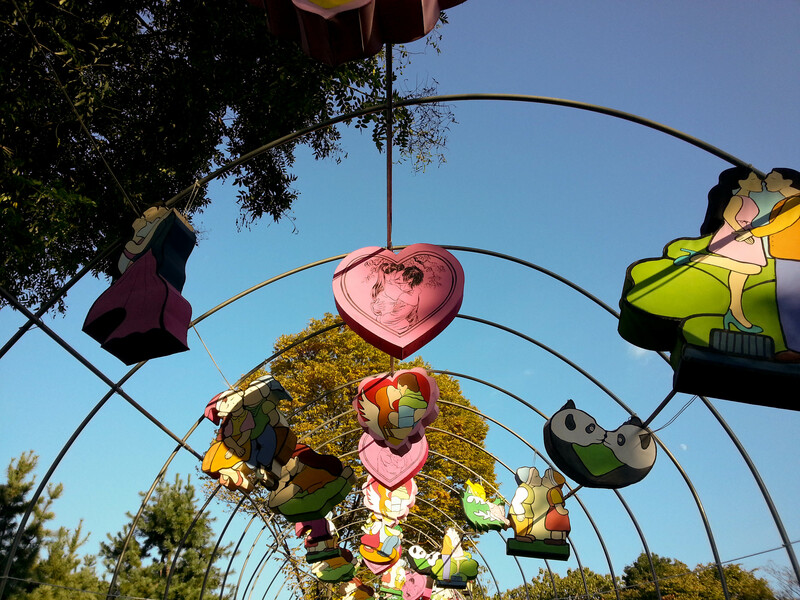 Tunnel of love in Jinju. 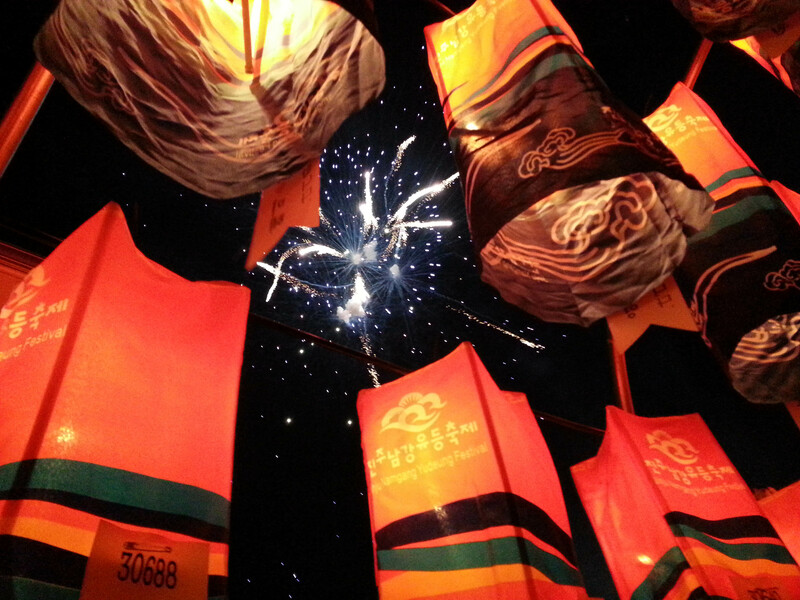 Fireworks at the Jinju Lantern Festival. The staff at my small school (myself included) have been playing volleyball against the staff at nearby schools on Wednesdays. 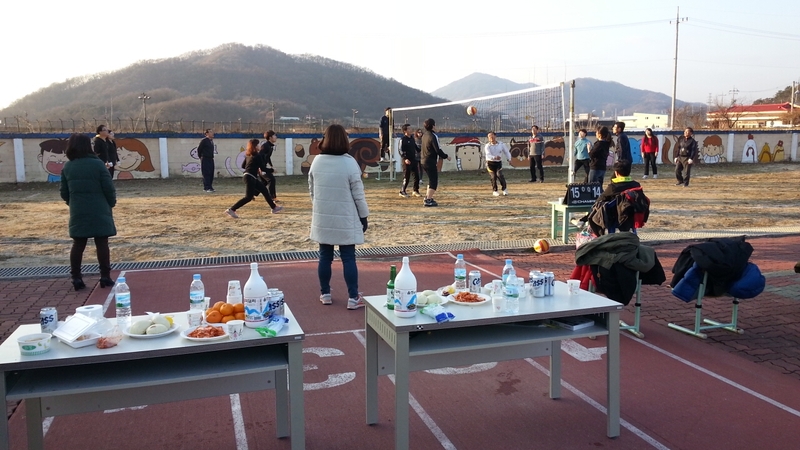 Volleyball, like many events in Korea, is of course accompanied by food and alcohol. This happens at 3 in the afternoon when students are still at school. I can’t say that I’ve gotten used to it yet. 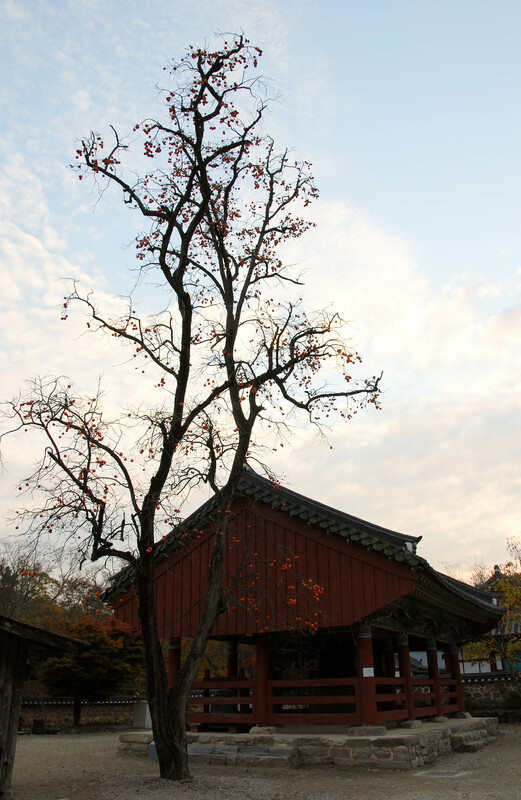 A persimmon tree at Seonunsa Temple. 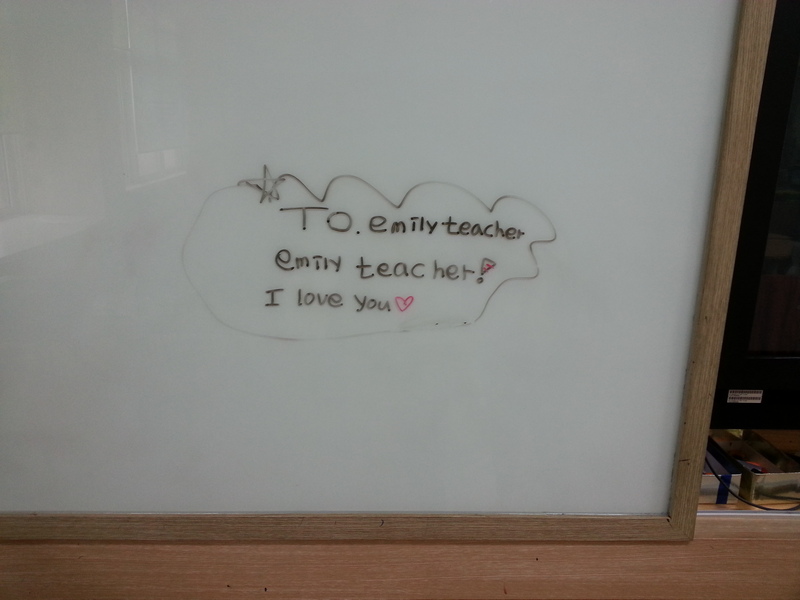 Knowing my students like me puts a smile on my face. 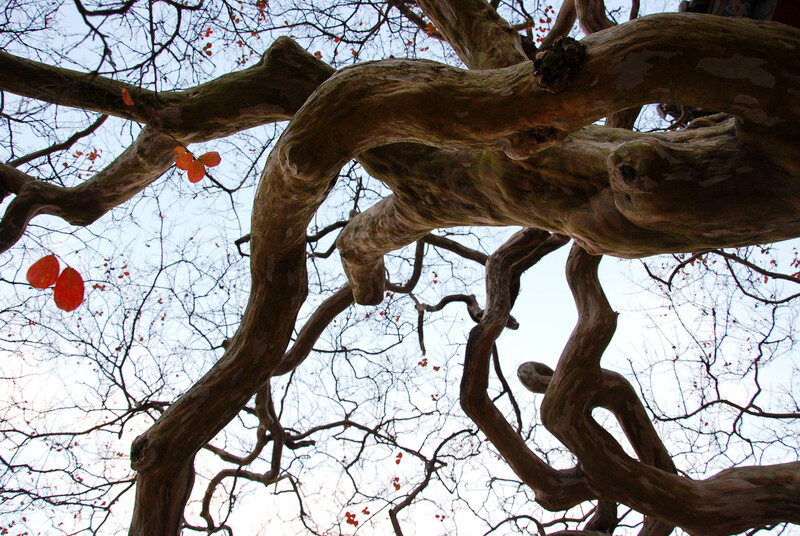 The last of the leaves hang on for dear life. Emily, your grandma and I love your pictures. Thank you! !